In newborns with long-gap esophageal atresia, the esophageal segments are too far apart to allow primary anastomosis. Spontaneous growth and hypertrophy of the two esophageal segments occur at a rate faster than overall somatic growth in the absence of any form of mechanical stretching. The maximal natural growth arises in the first 8–12 weeks of life. The stimuli are the swallowing reflex and the reflux of gastric contents into the lower esophageal pouch. 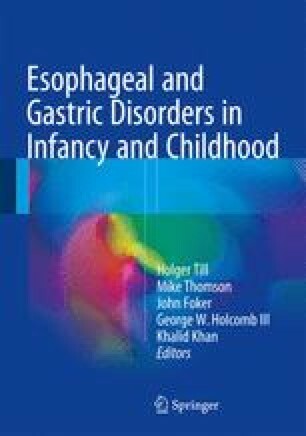 Therefore, initial gastrostomy and continuous suction of the upper esophageal pouch followed by delayed primary anastomosis is an ideal procedure for the management of newborns with long-gap esophageal atresia and provides good long-term functional results.